Every time I do some baking, I always start with the intention to blog about it, half way down the line I either get bored of the photo taking and just want it to be made so I can eat it or it goes drastically wrong that I can’t face the embarrassment of posting it. This recipe however broke that bad spell I had looming over my baking and it has made it into a blog post. I saw this recipe whilst reading though Becky’s blog ‘Milk Bubble Tea‘, we still have a tonne of Ferrero Rocher chocolates left from christmas –crazy I know– so I wanted to put them to good use and bake something. Of course Ferrero Rocher’s (Which I completely forgot to photograph, duh) I used 12 but you can add in as many as you like. Add 3 generous heaped table spoons of cocoa powder and mix again. Once the cocoa powder has been mixed in, stir in the plain flour. 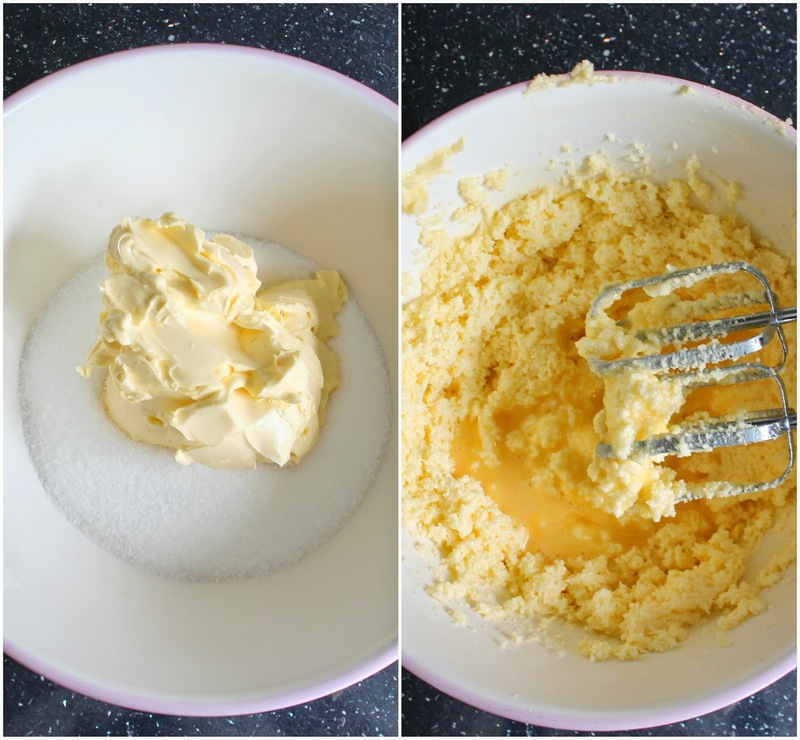 I added in 3 table spoons at a time and used a knife to stir it in, in a figure of 8 (This keeps the air in the mixture which helps it stay light and fluffy). 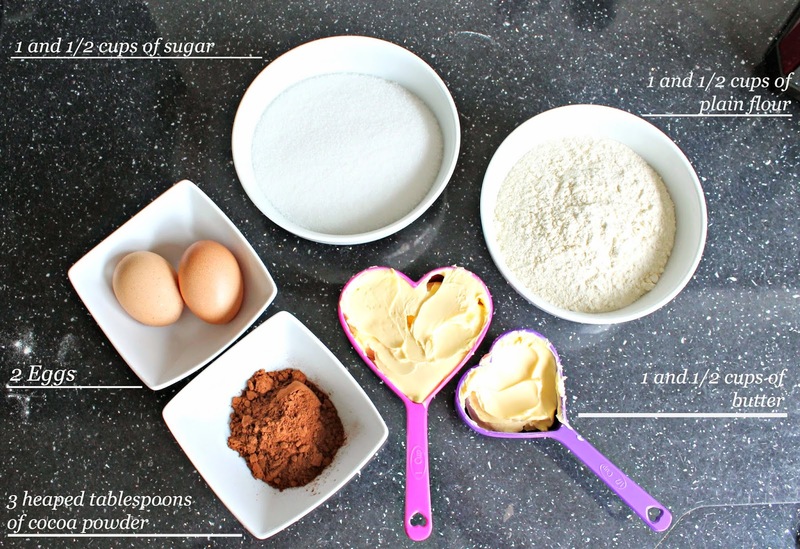 Keep mixing until every thing is mixed in and it looks smooth and fluffy –word of the day- Grease a standard brownie baking tray with butter or greaseproof paper (I used the paper). 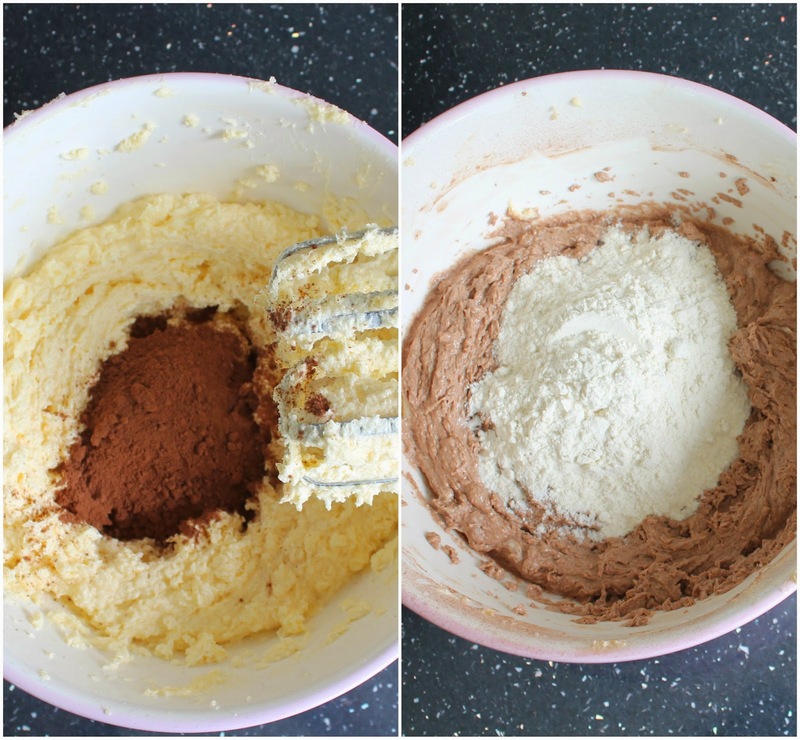 Once the mixture is evenly spread, add in the ferrero rocher, you can add in as little or as much as you like here. Then use the back of your spoon to cover the tops with mixture. My tray was a little big, therefore I didn’t have enough mixture to cover the tops completely but don’t worry they didn’t burn. Then, place them in the oven for about 25-30 minutes. I checked mine after 25 minutes and they were a little underdone but by 30 mins, they were perfect. I then left them to cool for at least 15-20 minutes before I cut them into little squares. They are best served warm, straight out of the oven but be careful because they will be hot. I took at least 4 pieces round to my grandparents house when i’d freshly baked them and they seemed to enjoy them a lot. You could serve them with cream or vanilla ice cream would be nice too. I was surprised that the ferrero rocher pieces didn’t burn or melt, they actually stayed pretty hard and crunchy which was a nice surprise when I took the first bite. Thanks for reading, make sure you send me a photograph on twitter (@WhatLucyLovesxo), Instagram (@WhatLucyLoves) or on my Facebook page (WhatLucyLovesxo) if you make them. They are super easy and quick to make so be sure to give it a try. Also leave me recipe suggestions in the comments below and I will try and do some more baking/cooking posts.